We’re Like An Extension Of Your Own Attic — Only Less Jumbled. 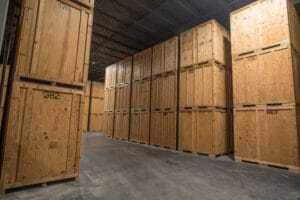 A view of storage containers in our climate-controlled warehouse. Perhaps an employer has required you to show up at your new work location sooner than you can close on a new home. Or maybe you are moving overseas for a few years and wish to travel light. Or maybe you just need to store a few items to declutter your home, and you want a better solution than a metal self storage shed unit. The guys unloading storage containers into the truck for delivery. Merchants can store your goods short-term or long-term in climate-controlled safety and security — so you can rest assured that all will be safe until you and your belongings are happily reunited. Prior to storage, your possessions are sealed in wooden containers, keeping everything clean and orderly while minimizing handling. 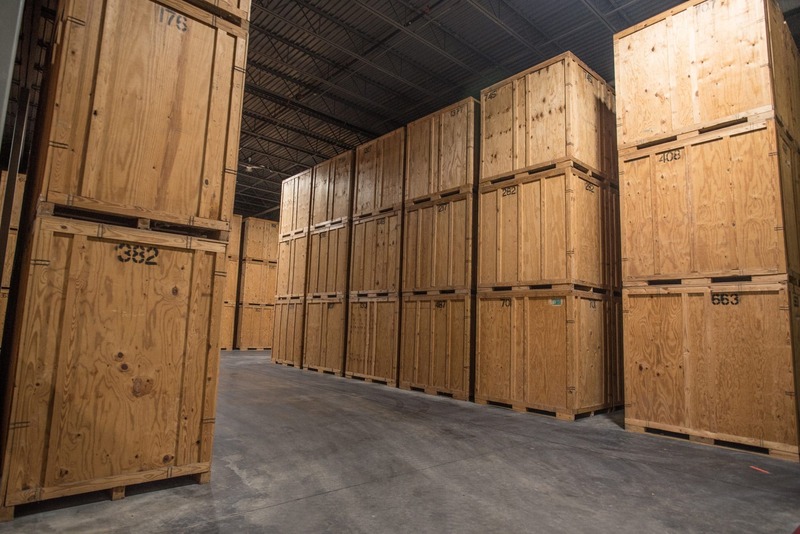 Larger or oddly-shaped items not suited to container storage or storage units are carefully covered in protective wrap and stored on special racks. 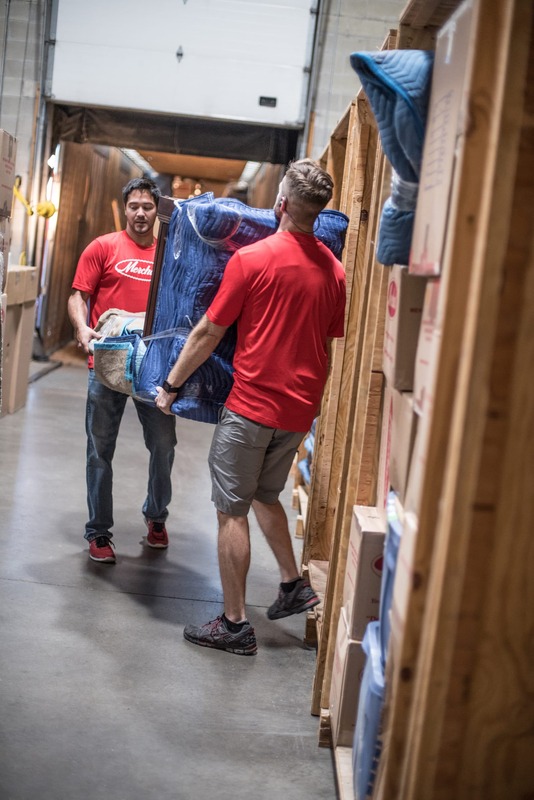 Self storage units may sound like a better idea, but in the long run, having the professionals handle it will bring you more peace of mind! Call today for an in-home estimate or for more information.